We have important news for you: Big Bad Wolves are universally intimidated by strong and powerful women. It’s a well-researched fact. Many years ago after an unpleasant incident at a company party, we hired a team of brilliant scientists to co-author a study of these terrifying storybook creatures and what makes them tick...and cower in fear. As it turns out, the study concluded that Big Bad Wolves only have three real fears in life: mechanical pencils, pygmy hippopotamuses, and fierce, fearless ladies. It was a fascinating outcome, and we’re up for some major awards in the field of psychological research. 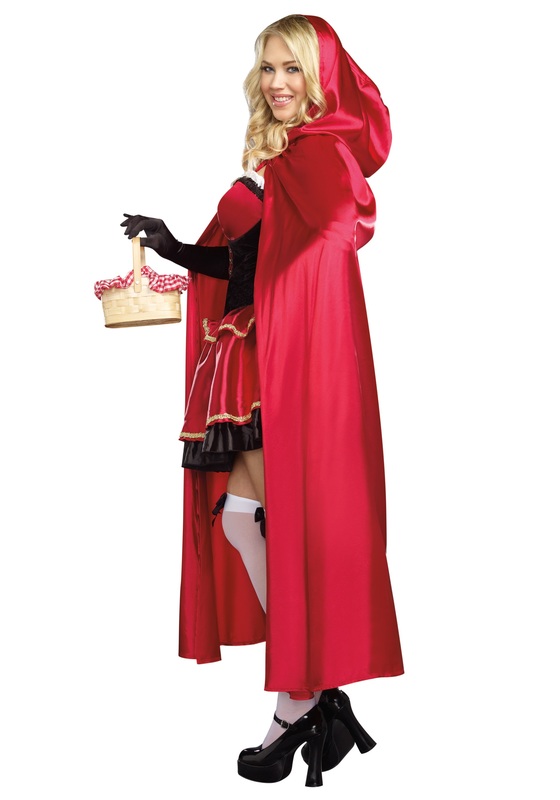 Anyway, the point being that dressing in this Women's Plus Size Little Red Costume is a smart way to keep yourself safe in the forest from that Big Bad Wolf. He’ll be able to tell just how bold you are the moment he lays eyes on you in this fetching ensemble. 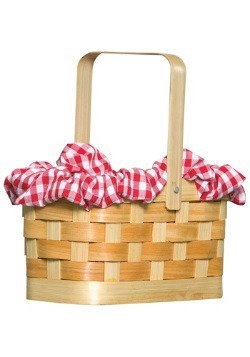 But if you want to be extra sure, you could always throw a few mechanical pencils in your basket, alongside your baked goods. You see, with this look, the power is in the details. 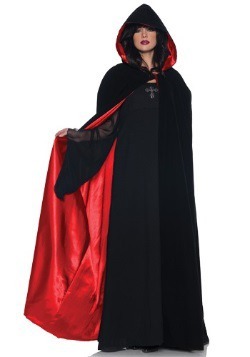 Both the dress and the hooded cape are positively enchanting, and the way you strut—through a party or through the woods—in this satiny red number makes it absolutely clear you are a gal not to be messed with. Black trim on the skirt is flirty and fun, the stretch-enhanced bodice and adjustable shoulder straps make for ultimate comfort, and the corset panels, ribbon “lacing,” and underwire support ensure ideal fit. Maybe you want to add a petticoat, knee-high stockings, and heels and hit the town, or perhaps you’d prefer to dance barefoot in your kitchen while your cape cascades around you—it matters not. 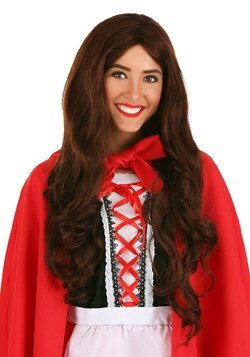 No Big Baddie would dare try to trick you while you’re wearing this. You look too dang smart! So whether you’re off to see Granny as she breaks in her new turntables or you’re hitting up an happy hour costume competition, you’ll look on point and powerful in this classic-meets-modern getup. You can rest easy knowing you’re safe from any dangerous Big Bad Wolves that may come your way, which is good, because we don’t condone owning a pygmy hippopotamus as a pet.